Renting a white cyc studio in Los Angeles can seem like a straightforward task. With plenty of options, there’s sure to be something that fits your videography and/or photography needs. However, choosing the right white cyc studio Los Angeles has to meet your need for a large or small, professional quality space with all the amenities you and your crew require, is usually more difficult than most people expect. To help to make your decision easy, here’s everything you need to know about when to use a white cyc backdrop and how to choose the best white cyc studio Los Angeles has to offer. Stage A is perfect for your next photo or film shoot! With 4600 square feet of space, plenty of support space, brick walls, bow truss and polished concrete floors, you are able to achieve multiple styles and take advantage of the warm industrial textures of the space. Ask us about our lighting and design packages for the stage. The intimacy and privacy of Stage B makes for a perfect environment for photo and film shoots. Stage B comes equipped with a 2 wall cyc, 20ft to the grid and support space including dressing rooms, green room, private restroom, as well a full kitchen in the stage. Stage C is our largest sound stage at 5600 square feet with a 2 wall cyc, 21 ft to the grid and silent HVAC. This Stage is fit to accommodate any your production needs whether you are looking for a stage for Photo, Music Video, Television, Commercial or Motion Picture Shoot. WHAT IS A WHITE CYC ANYWAY? A white cyc is the common abbreviation for a white cyclorama which is a large, concavely curved wall that’s used to create a seamless backdrop forphotographic and film applications.It’s sometimes referred to as an infinity cyclorama. This is because the wall or walls are smoothly joined to each other and the floor to create a ‘corner-less’ jointthat makes it look like there’s no beginning or end when viewed on film. Their unique design helps the light to bounce around the subject that’s being shot to reduce shadows and create a classic, polished and professional looking background. White cyc studios are commonly used in applications such as music videos, car commercials, product and portrait photography where the producer wants to place sole focus on the subjects while minimizing the attention that the background draws. The most well-known application of a white cyc background are Apple’s series of highly successful ads. These have since been the inspiration for many other commercials and interview sets. While white cycs are generally white used as a pure white backdrop, they can also be lit to achieve a wide variety of other looks. This includes a natural, moving sky effect that’s either projected in real-time or added in post-production. However, white cycs can also be painted other colors to create a bold background or a decorative scene that’s then referred to as a backdrop. An elegant, polished background – By being able to practically make the background disappear, white cyc studios provide the perfect backdrop for an extremely wide range of professional shoots ranging from makeup ads to corporate interviews. Comfortable environment for you and your crew – Shooting in a studio means that you and your crew won’t have to deal with the hassles of working outside including battling with the elements, surrounding sounds or waiting for the perfect light. This benefit is particularly important if you’re shooting a hair and/or makeup commercial where it’s essential to prevent the look of your model from being ruined by the wind, rain, sun and/or heat. Real-time audio recording – TopLos Angeles white cyc studios will also be soundproofed so you can film a scene and simultaneously record dialogue and/or natural scene noises without any interference from outside noises. This eliminates the need for time consuming dubbing of audio tracks in post-production. Cost-effectiveness – Filming on a Los Angeles white cyc save is usually more cost effective than shooting on location because it reduces travel and setup time and makes use of a simple yet effective technique. It also reduces post-production costs as fewer tweaks are usually needed to achieve a finished look. Drawing complete focus onto the subject – Because the stark white background contrasts so well with the subject that you’re shooting, it immediately becomes the focal point of any photo or video shoot, minimizing any surrounding ‘noise’ that might distract your viewers. Allowing multiple options for lighting –In addition to using the basic Los Angeles white cyc studios lighting, you’ll also be able to add your own to minimize any shadows under or behind your subject. Alternatively, you may choose to keep the shadows there to create a more dramatic look or even light the stage with other colored lights. Your options are practically limitless. Access to all amenities – When working in the top white cyc studio Los Angeles has to offer, you’ll also have access to a range of amenities to make your job easier. This includes things such as private production offices, hair and makeup rooms, kitchen facilities and bathrooms. Quick setup – Shooting in a Los Angeles white cyc studio usually involves using pre-set lighting that’s designed to effectively bounce the light around to where it’s most needed. This means that setting up your shot is usually faster than it would be when working on location where all your lighting needs to be brought in and constantly adjusted as the natural hues change. WHEN SHOULD I USE A LOS ANGELES WHITE CYC STUDIO? Los Angeles white cyc studios are ideal for amateur and professional photographers and film producers who want to shoot anything that requires a clean background. So, if you want to take isolated product or people shots in a comfortable and easy to manipulate environment, all you need is the best white cyc studio Los Angeles has to offer. However, white cyc studios are increasingly also being used to film and photograph corporate interviews and headshots to add a professional touch to websites, social media and printed advertisements. So, if you’re a social media influencer, own a YouTube channel or are in charge of a larger company, a white cyc studio in Los Angeles might be the very thing you’re looking for too. 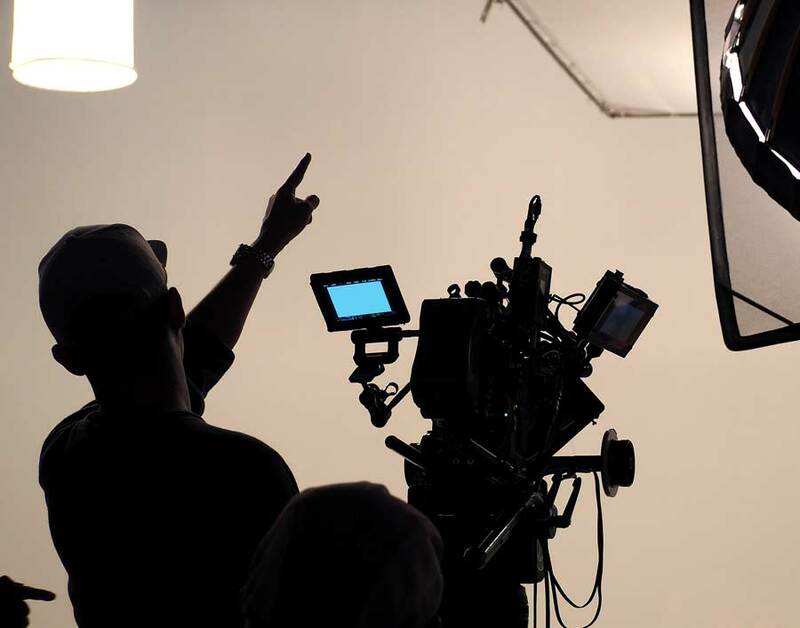 Regardless of what you’re planning to create, Los Angeles white cyc studios are ideal for anyone who needs a professionally produced moving or still picture that doesn’t cost a fortune. If you’re looking for a white cyc studio in Los Angeles, don’t be fooled into thinking that any old white sheet or wall will do. To create professional results, you’ll need an expertly designed white cyc studio Los Angeles film producers and photographers would rave about. Before you commit to renting any Los Angeles white cyc studio, always visit the site yourself. This will allow you to gauge the quality of the setup in addition to whether there is enough talent and support space to house you and your crew. Properly designed white cyc studios are carefully laid out with the right angles and curvature to allow the light to bounce around, eliminating unappealing shadows and seams and preventing unnecessary shot restrictions.To assesswhether the white cyc surface has been correctly designed, simply use the studio lights to test the condition of the walls. A top Los Angeles white cyc studio will reflect the light so that there aren’t any shadows that fall directly on the recording space. The paint should also have a matte or low-sheen finish to avoid ending up with an excessively shiny look in your finished creatives. Another thing to check while you’re on site is that the white cyc walls are free from any scrapes, smudges and dirt. These will show up in your finished film or photos so it’s essential that you’re working in a clean, stark white environment. If there is any damage, you can request for the walls to be repainted before your shoot. It’s also a good idea to ask the studio representative about how often their white cyc is repainted as to avoid turning up on the day to find that their last client scuffed up your perfect backdrop. If you are considering renting a single walled, white cyc studio in Los Angeles, be aware of the limitations that you’ll need to work within. Single walled white cycs restrict your shot angles to head on. This usually means that you’ll have to spend more time adjusting your subject matter and will still be limited in the variety of shots you can record. Alternatively, opt for a 2 walled white cyc screen that’s professionally joined with an arced corner and a high ceiling. This will allow you to easily shoot many more angles without having to alter your scene setup. It’ll also guarantee a better environment for reflecting light around too. Goya Studios is home to the best sound stage Los Angeles has to offer. 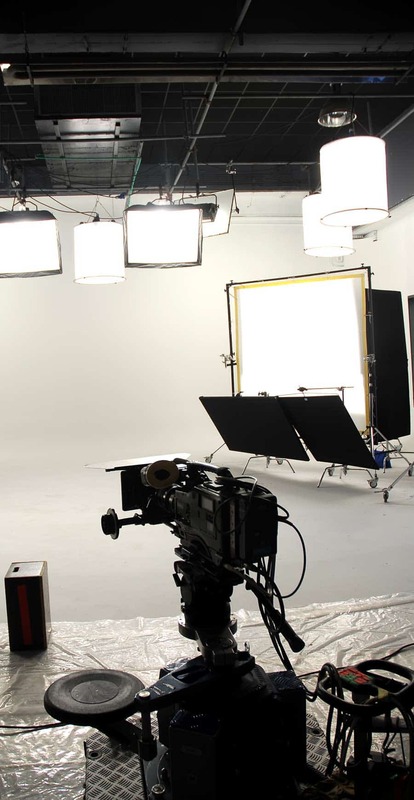 Centrally located in Hollywood, our white cyc studios are professionally designed, soundproofed and well-maintained to create the ideal environment for filming or photographing any plain background application. To ensure that we cater to all your white cyc studio Los Angeles needs, we also offer an inclusive service that gives you private access to ample support space to house you and your crew. This includes production offices, wardrobe rooms, kitchens and restrooms with free WiFi, onsite parking and optional catering so that your whole production process can be as streamlined and cost- efficient as possible. 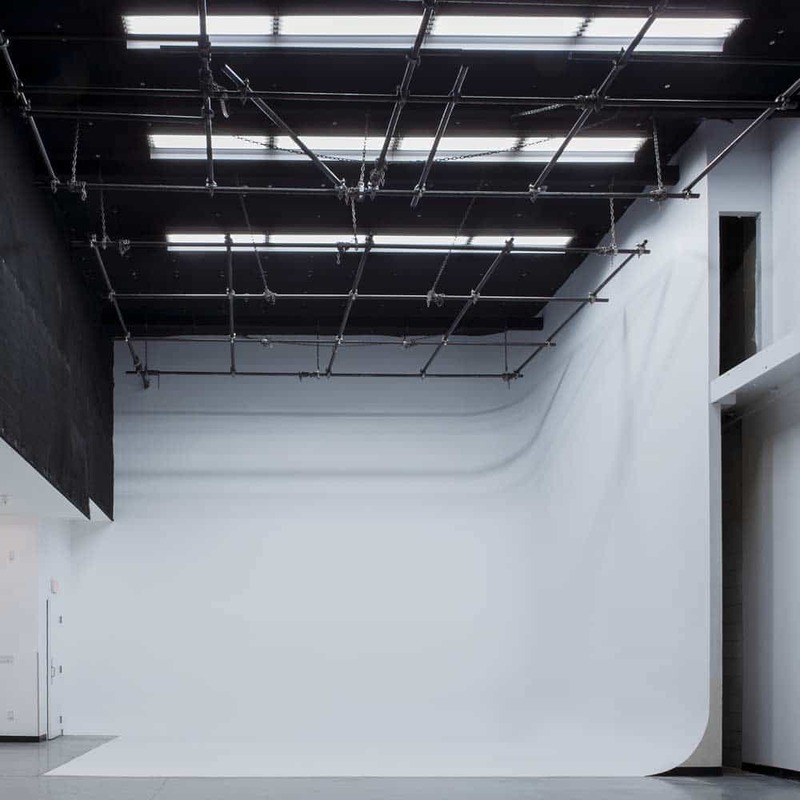 Whether you’re looking for a small and intimate space to produce your white cyc screen film or photography or require a larger area to cater to an extended team, we can cater to your complete Los Angeles white cyc studio needs. At Goya Studios, we pride ourselves on offering the top white cyc studio Los Angeles producers have at their disposal. This includes 2 professional quality white cyc studios that are the perfect stage for producing your next photo shoot, feature film, commercial or social media video. Our smaller, white cyc studio, Stage B, contains a 20’ by 21’ 2 walled white cyc screen that’s perfect for more intimate shoots. Here, you’ll be able to hang additional lighting and other accessories from a 20’ overhead pipe grid to create a wide variety of scenes and visual looks. During your shoot, you’ll also have exclusive access to an additional 1550 square feet of support space. This includes a production office along with dressing, hair and makeup rooms, a full kitchen and private restrooms for the convenience of you and your crew. If you need a larger space to cater to your white cyc studio needs, Stage C contains a large 52’ by 52’ white cyc screen with a 21’ overhead pipe grid. This is ideal for larger photoshoots, car commercials, music videos and recording scenes for feature films or television shows. Your crew will be able to make themselves at home in the generous support area which features a production office, VIP room, hair and makeup room, dressing room and private restrooms. We also host all types of special events including corporate galas, red carpet evenings and advanced screenings. With the capacity to cater for 50 to 1200 guests, we truly do aim to meet and exceed all of your white cyc studio Los Angeles needs. If you’re an amateur or professional photographer or film producer who needs a quality and affordable space that’s easily the best white cyc studio Los Angeles has on offer, Goya Studios is right for you. Conveniently located in downtown Hollywood, we’re can cater to all your white cyc studio Los Angeles needs in a cost and time-efficient manner. Ask us about putting together a custom white cyc rental package for you today.